Congrats to them! I love their announcement photo. :) You are going to love being an aunt, it's pretty amazing. 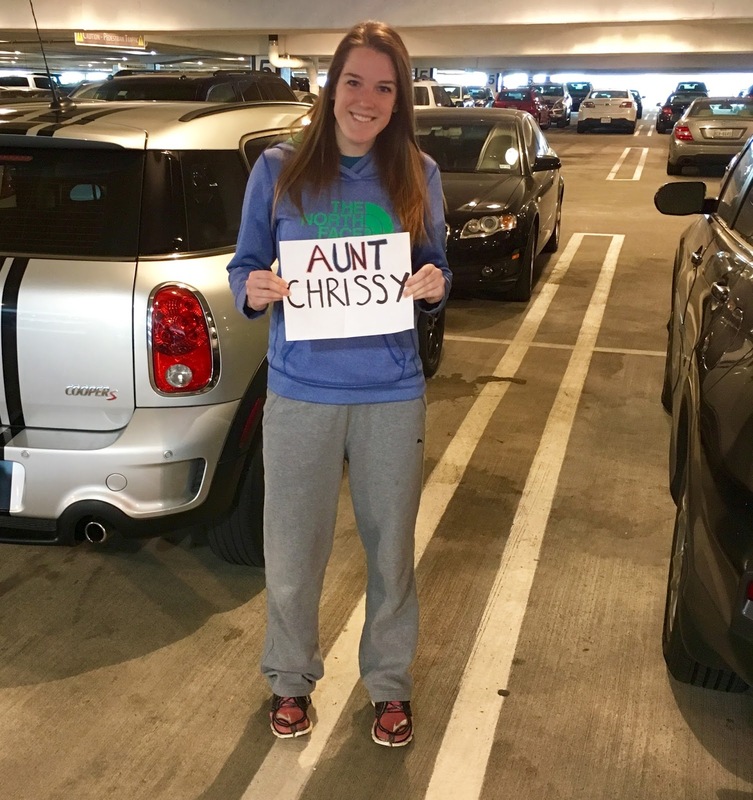 Awww how exciting-- I love how she chose to tell you at the airport with the sign. And I also laughed about the story behind the aunt chrissy name! Congrats!!!! That is so exciting!!! I can't wait until one of my sisters give me a little niece or nephew to spoil! Congratulation! I can imagine how excited you are right now...being an aunt is the best thing ever! Yay congrats! I love spoiling my nieces and nephew. It's the best! Oh wow!!!! What a sweet way to reveal t to you!!! My sister and I have never lived near each other, so it is tough being so far away from my nieces. But thank the Lord for FaceTime and Skype!! I just saw my new 5 week old niece over spring break for the first time and spent the entire time snuggling her! Congrats Aunt Chrissy! 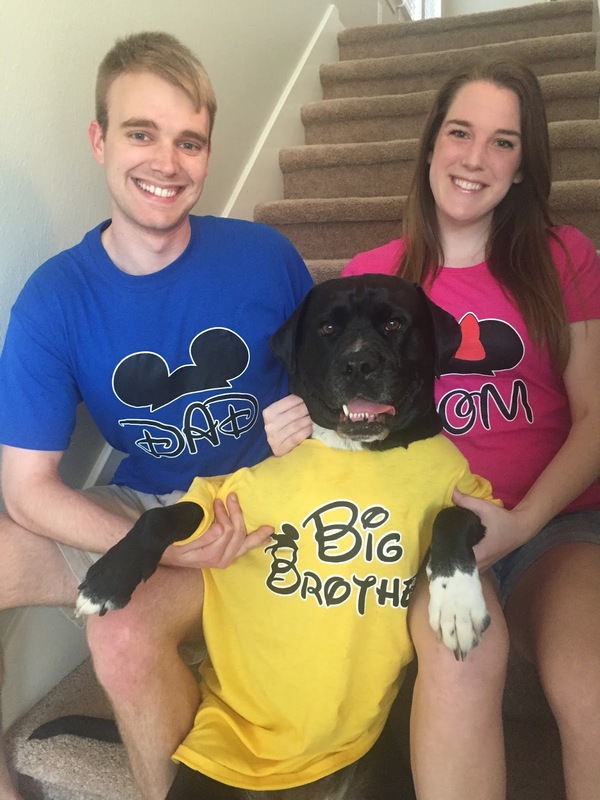 Congratulations to your sister and to you as a future aunt! 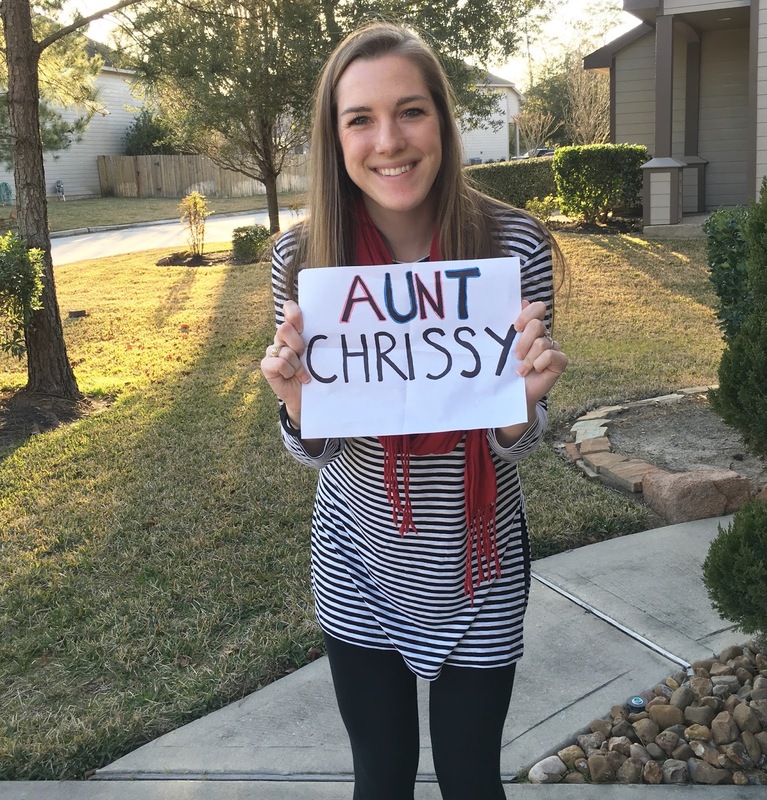 You are going to LOVE being an Aunt! So happy for your family!